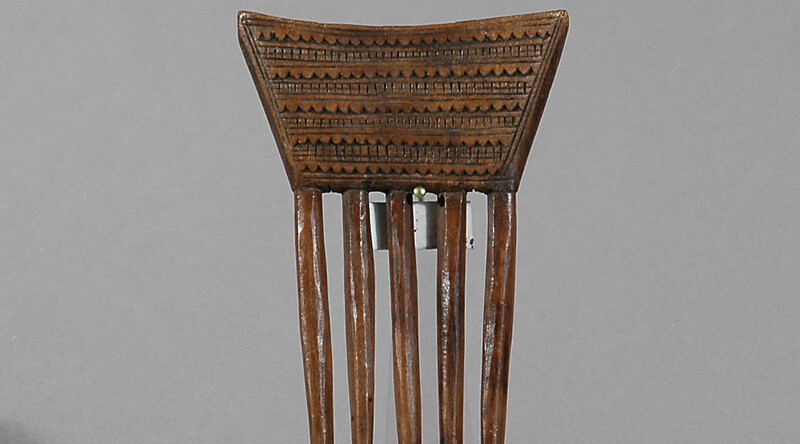 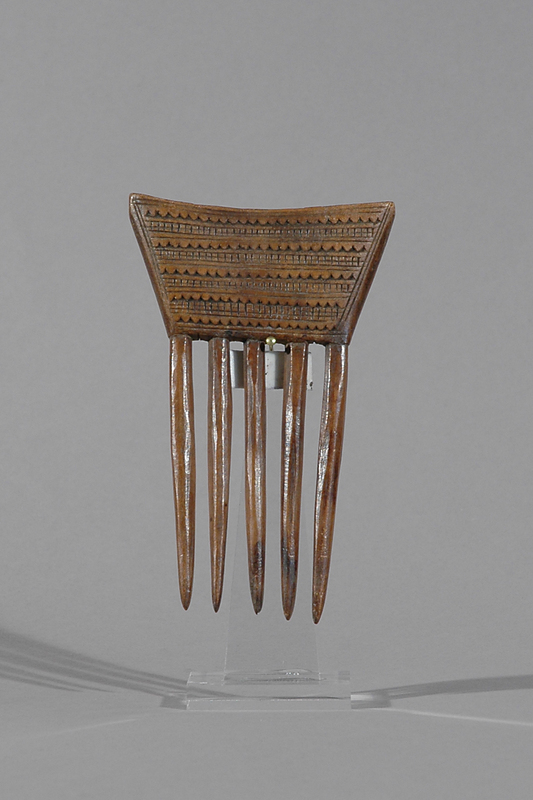 This comb with five tines beneath the decorative ‘top’ with carved geometric, zigzag motif is an old well used Baule (Baoule) comb the carvings indicating the owners status. 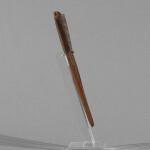 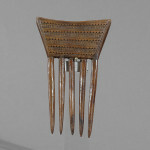 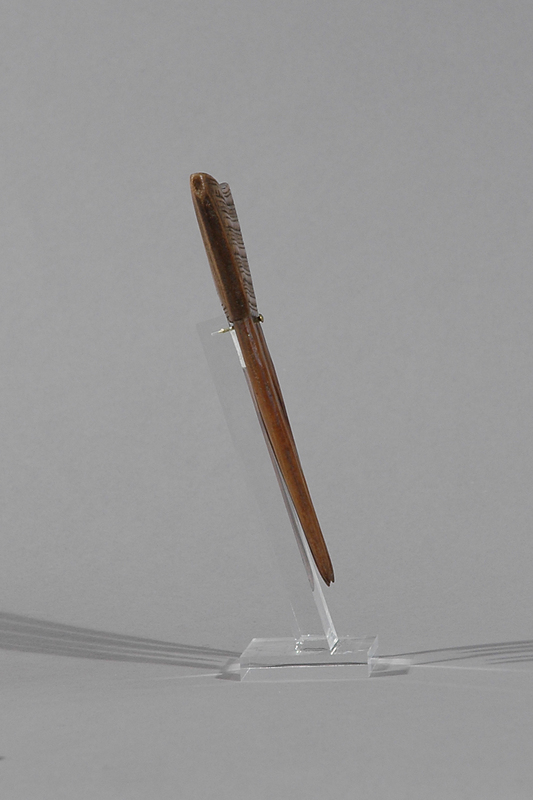 Often are these combs to elaborate distinctive coiffures to indicate social status, ethnic origin, gender, age and more. 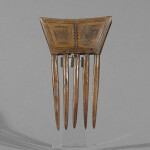 Combs are both used in styling the hair and are sometimes worn as decorative additions when inserted and worn in both men’s and women’s hair. 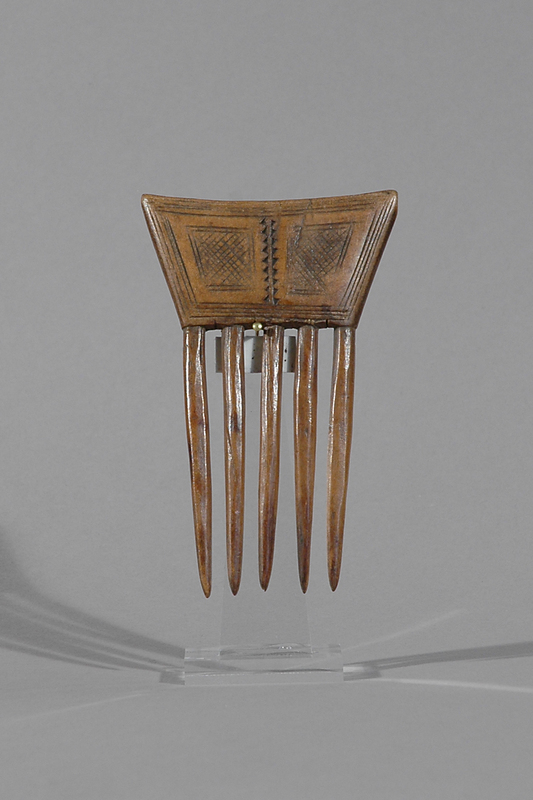 Fine hair implements are considered a luxury and many become treasured items that are passed down through the generations.